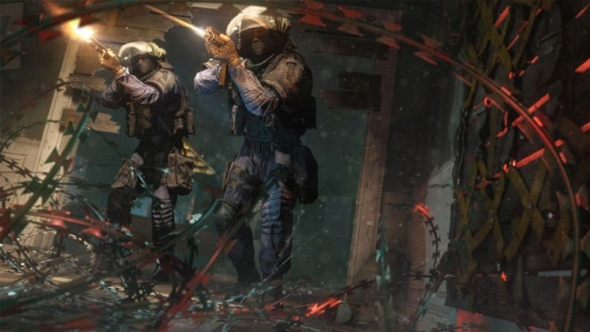 Ubisoft are rolling out a variety of Rainbow Six Siege fixes intended minimize the ability of players to abuse high pings, starting with the Year 2 Season 3 Mid-Season Reinforcements. It’ll be an ongoing process, but the developers say they want to ensure that players with stable connections have the “best experience possible” while keeping the game accessible to players without access to lower pings. Take a look at the best operators in Rainbow Six Siege. Also coming soon will be pawn-to-pawn physics, addressing problems of players being able to teleport behind shield users. The team will also be “reducing the upper limit on the latency required to initiate extra hit validation steps,” and optimizing the replication of actions for a more responsive experience. Changes are also coming to the way ping is calculated. The displayed ping value currently includes processing delay, which means that players running at higher framerates misleadingly showed a lower ping. That’ll be changed, and while it’s not a substantial gameplay difference it will offer a more accurate representation of actual latency. On top of all that, there’ll be several new connectivity icons telling you when something’s going wrong, whether that’s because of your ping, connection, update rate, or the host. Updates are on the way for Siege soon, and it seems the ping fixes are an ongoing concern for the team that will continue to be addressed over time.